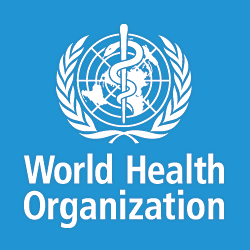 Geneva, Switzerland, August 31, 2016 — New guidelines for the treatment of three common sexually transmitted infections (STIs) have been issued by the World Health Organization (WHO) in response to the growing threat of antibiotic resistance. Chlamydia, gonorrhea and syphilis are all caused by bacteria and are generally curable with antibiotics. However, these STIs often go undiagnosed and are becoming more difficult to treat, with some antibiotics now failing as a result of misuse and overuse. It is estimated that, each year, 131 million people are infected with chlamydia, 78 million with gonorrhea, and 5.6 million with syphilis. Resistance of these STIs to the effect of antibiotics has increased rapidly in recent years and has reduced treatment options. Of the 3 STIs, gonorrhea has developed the strongest resistance to antibiotics. Strains of multidrug-resistant gonorrhea that do not respond to any available antibiotics have already been detected. Antibiotic resistance in chlamydia and syphilis, though less common, also exists, making prevention and prompt treatment critical. When left undiagnosed and untreated, these STIs can result in serious complications and long-term health problems for women, such as pelvic inflammatory disease, ectopic pregnancy, and miscarriage, and untreated gonorrhea and chlamydia can cause infertility in both men and women. Infection with chlamydia, gonorrhea and syphilis can also increase a person’s risk of being infected with HIV two- to three-fold. An untreated STI in a pregnant woman increases the chances of stillbirth and newborn death. The new recommendations are based on the latest available evidence on the most effective treatments for these 3 sexually transmitted infections. For WHO’s full press release and recommended guidelines, click here.